This is just a short letter to thank you for your work helping me prepare a property for sale in Maroubra. I was in a “last minute” rush to get a property on the market before Christmas and it was in a state which was un-suitable for presenting to the buyers. I gave you a call on the mobile and you immediately started organising a quote for the very same day which was very reasonable. By Photo time on Monday the carpets and house were “spick and span”. Good work Scott and Ace I will certainly be using you again and recommending you to other clients. 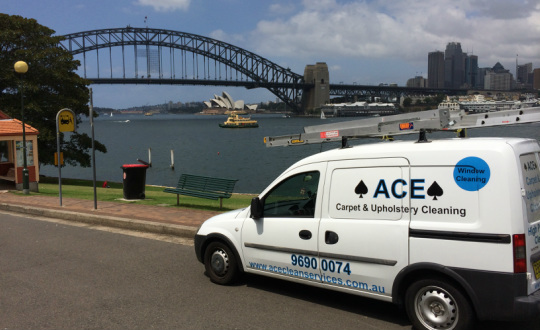 Our company is Oz Design Furniture and we use Ace cleaning on a regular basis. We have our office carpets in mascot steam cleaned annually, and we are always happy with the work carried out. There is genuinely a significant difference before and after the cleaning is done each time. Scott is punctual and easy to deal with which has resulted in a good business relationship. We will be using Ace cleaning again in the future and have no problem in recommending his services to you. To whomever it may concern, I Greg Cohen (Proprietor) of Bing Lee Bondi Junction, have used Ace carpet cleaning recently and am more than satisfied with the standard of work carried out. The carpets looked and smelt great the next day and I plan to use Ace cleaning services again in the future. I found Scott a genuine person, and trustworthy in my store and would like to recommend him to you. “Our organisation has been contracting Ace for the past two years. Scott and his team are always on time and work quickly and efficiently. I have no hesitation in recommending Ace to potential clients”. I have used Scott’s company for over 3 years, initially for my private residence. As result of the consistent high quality and outstanding service provided, I started to also use Scott and his friendly and reliable team to provide steam cleaning of carpets and upholstery at two hotels, Quest Wollongong and now on ongoing basis at Quest Potts Point. Thank you Scott and Team for consistently providing our home and now the hotel with outstanding service and superior quality.